As police in Walnut Creek step up patrols of bars and nightclubs in an effort to prevent crime, city leaders voted Tuesday night to cut one popular downtown nightspot's hours. The Walnut Creek City Council voted unanimously to deny an appeal from the owners of Lift Lounge and Grill that would have allowed the Locust Street business to continue operating until 12:30 a.m. Instead, the council voted to roll back the bar and grill's hours by one hour for the next 90 days, after which time the business owners may re-apply to extend their hours. The decision follows a nearly identical planning commission vote to scale back the bar and eatery's hours after a review of Lift Lounge and violations of the lounge's conditional use alcohol permit since the business launched in November 2009. Since that time, police say they have received 80 calls for service at the bar and grill, mostly connected to drunken people leaving the business who cause a disturbance. Other offenses police say occurred in connection to Lift Lounge during that time range from driving under the influence arrests to physical fights outside the building and one sexual assault inside the bar, according to Walnut Creek police Capt. Tim Schultz, who spoke at the Tuesday night hearing. "I think the over-service of alcohol has led to a large number of the calls that may not otherwise exist," Schultz said. Similar businesses downtown have had far fewer disturbance calls, he said. And police, he said, are left to "deal with the fallout" from Lift Lounge patrons who start fights or urinate outside, although he said that type of behavior cannot be attributed solely to the bar. David Bowie, an attorney representing Lift Lounge, said its owners should not be expected to police the area surrounding their business, where many of the public disturbances that police cite have occurred. He and Lift Lounge's co-owner, Jasmine Butler, urged the council to grant the fledgling business another chance to comply with their conditional use permit. 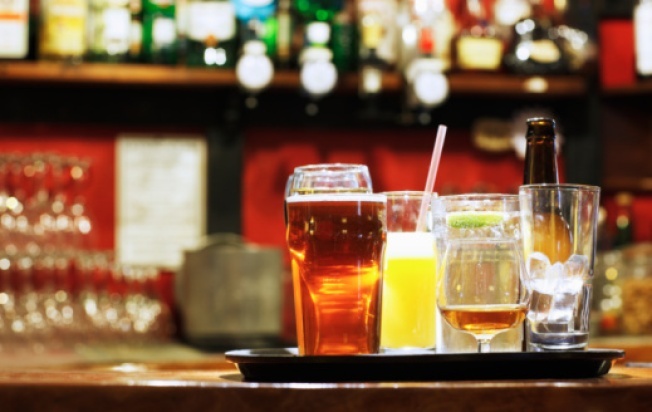 Since the planning commission vote to cut the bar's hours two months ago, police have received just four calls for service there, Councilwoman Cindy Silva noted. And for several Walnut Creek residents who spoke during the meeting, the bar and grill provides more than a safe, friendly environment -- it also fills a late-night niche in town that's an alternative to fast-food, according to about half a dozen speakers Tuesday night. For 27-year-old Walnut Creek resident Noel Ronda, Lift Lounge is one of the rare local spots where she and her boyfriend can eat a meal and have a drink after a late-night movie. John Muir Medical Center worker John Gainey, a Walnut Creek resident in his late 30s, told the council that after a 16-hour shift, Lift Lounge provides "food that's decent and not exorbitantly expensive." After about three hours considering the appeal, the council nonetheless voted to slash the bar's hours. The decision comes after the first weekend of beefed-up police patrols at Walnut Creek bars, meant to crack down rising numbers of fist fights and other disturbances around the city's nightspots in recent months. Police Chief Joel Bryden said Tuesday that the additional police presence appears to have been successful, slashing numbers of arrests and disturbance calls over the weekend.